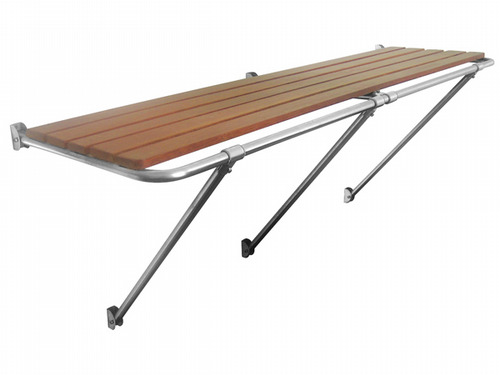 Our Wood Platforms Are Made For Mounting Onto A Boat To Be Used As A Swim Or Bathing Platform. Used As A Bathing Platform, Our Wooden Swimming Platform Is Attached To Stainless Steel Pipes For That Prestige Look. If you have been looking for the highest quality marine equipment for your yacht or boat, then you are in the right place. As here at SecureFix Direct we are confident that we have everything you will need and want for your boat or yacht to be in the best condition. Our wooden teak swimming and diving platforms that we supply here at SecureFix Direct are exceptional and come in an array of sizes and styles. Our wooden teak platforms can easily be mounted onto a boat to be used as a swimming or diving platform. Our wooden teak swimming and diving platforms are both universal fitments. As well as our platforms we also supply a huge variety of marine equipment and supplies. Here at SecureFix Direct we take great pride in the products we stock and our wooden teak swimming diving platforms are second to none. No matter what size of wooden platforms you require for your boat we are sure we have them. The platforms are made with wooden bases and are attached to stainless steel pipes for that prestige look which cannot be achieved with fibre glass. The stainless steel aids against corrosion and are incredibly heavy duty. 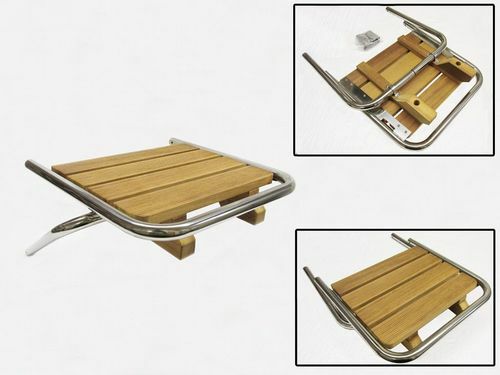 The larger wooden platform models come with adjustable spacers to allow for the best fit on your boat. With many years of experience within the supplying industry we are incredibly proud of the high quality marine equipment and boat accessories we stock here at SecureFix Direct. On top of that we also offer the most competitive prices and we always aim to deliver your items as soon as possible so you can start to use them in no time at all. With our vast knowledge and highly rated customer support service we urge that if you are unsure on the right products for your needs to please get in touch with a member of our friendly staff, who will be more than happy to help. If you would like any more information then please get in contact with us today.